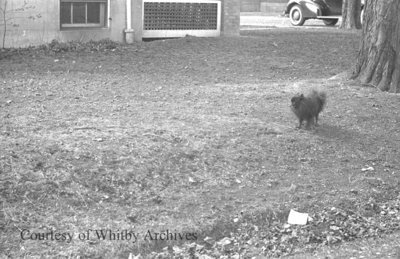 A black and white negative of the side yard of 501 Byron Street South, Whitby, Ontario. In this view there is a dog standing on the lawn. 501 Byron Street South, March 21, 1938, Marjorie Ruddy. Whitby Archives A2013_040_651A.